Adult Mom began as the solo project of Stephanie Knipe in a Purchase College dorm room in 2012. 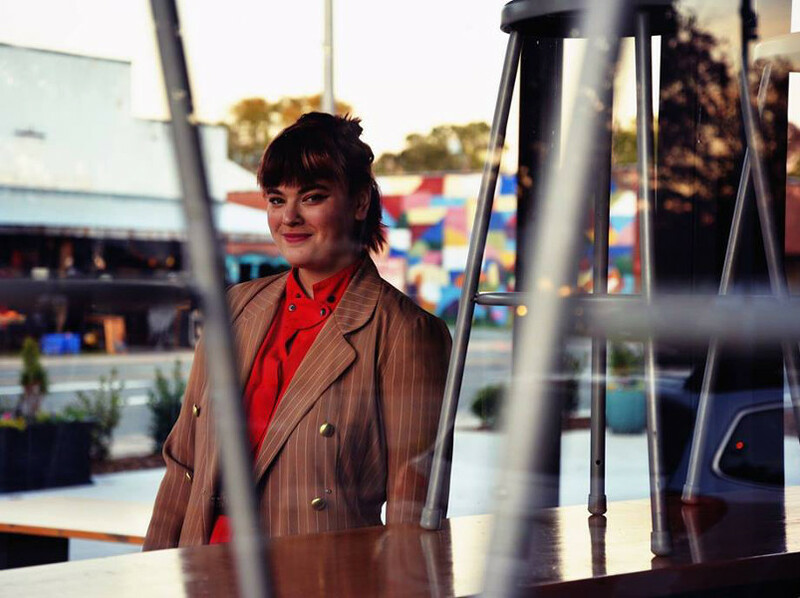 Adult Mom now falls between the playful spectrum of solo project and collaborative band with beloved friends and musicians Olivia Battell and Bruce Hamilton. Through reflections and explorations of the personal and hidden, the crux of the writing produced by Knipe is focused on excavation. The dredging out of secrets, putting it all in a pan, waiting for the gold to rise. Honesty and intimacy form as Knipe writes clever pop songs that offer a glimpse into the journey of a gender-weird queer navigating through heartache, trauma and subsequent growth. With their debut LP, Momentary Lapse of Happily, Adult Mom bravely shined a light on the darkness and allowed the listener to experience and feel those moments along with them. Soft Spots, the project’s sophomore LP, is an exploration into the physical and emotional acts of opening up, the vulnerability that produces love, and then ache. With this record, Knipe proclaims that everybody has soft spots. Spots that get cared for and tended to, that grow and fade, that produce feeling that can linger for years and years. Knipe shares with us their process of learning how to cradle and understand their own softness without finality, a story without an end.